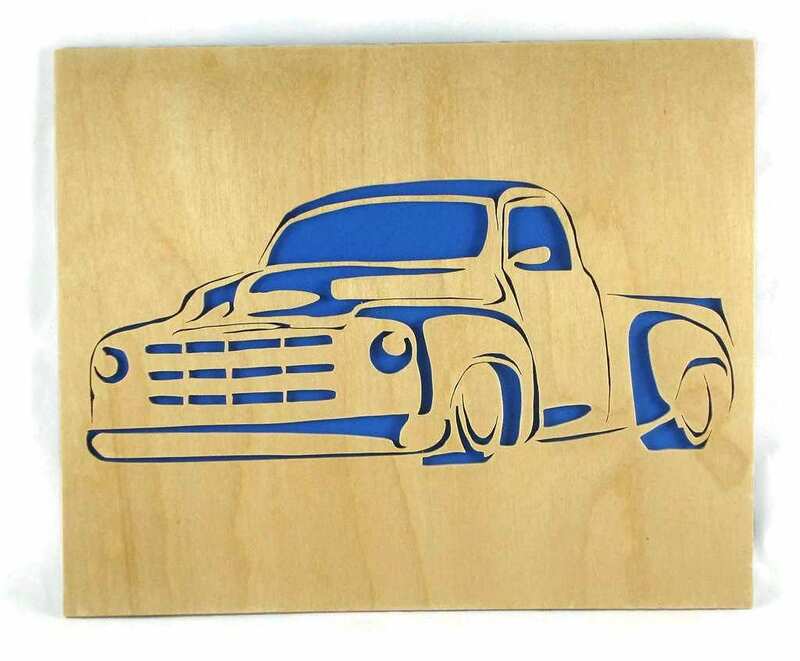 If you or someone you know is a vintage truck enthusiast then this vintage wood wall art portrait is the perfect gift to get for yourself or for that special old truckloving person you know. 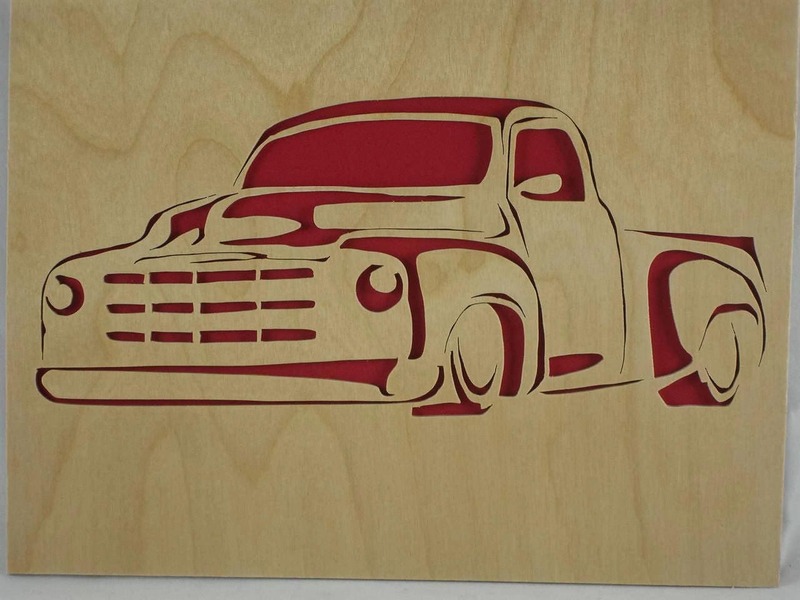 This portrait features a vintage truck left front angle view cut out by hand (handmade) using a scroll saw. 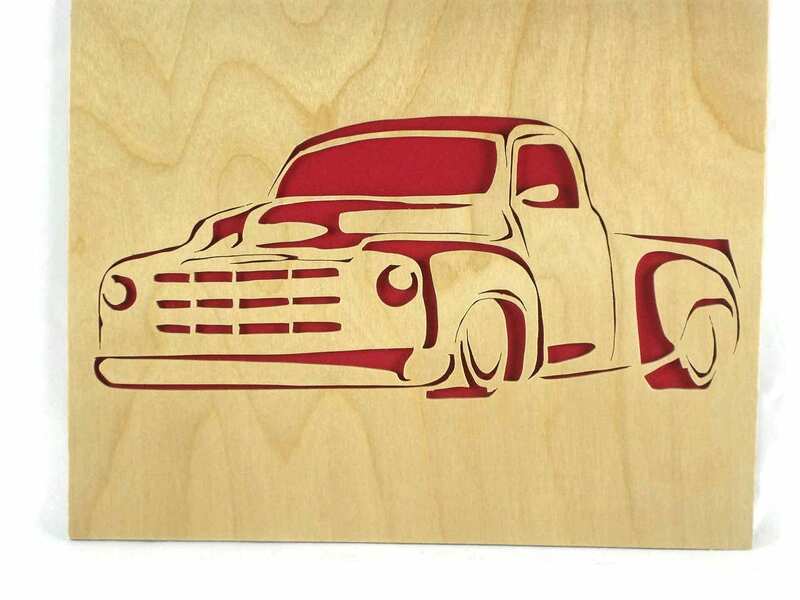 This is cut out from 1/8 inch thick birch craft plywood and is designed to be framed in a 8 x 10 inch picture frame. 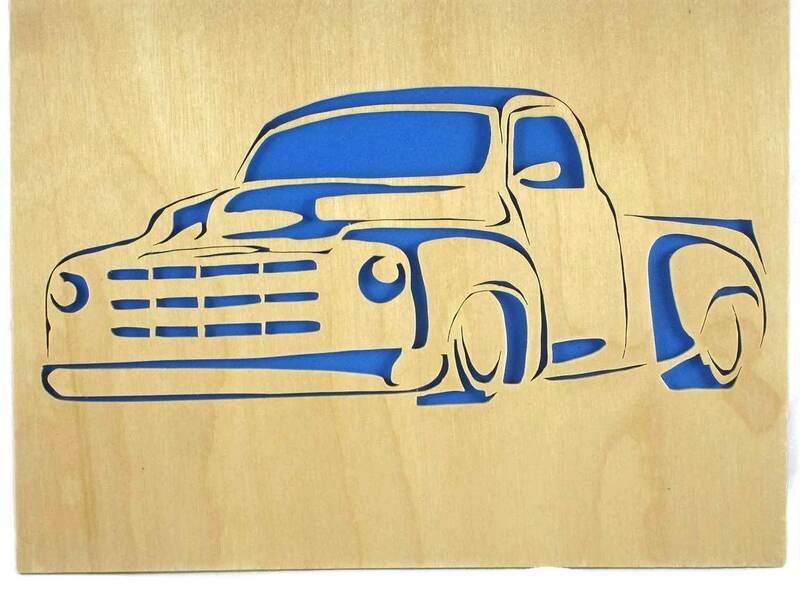 A foam backer is glued to the back of these for the color enhancing of the cutout. A clear semi gloss / satin polyurethane finish is applied to the front side. NOTE: I can make this in a larger size if you prefer. 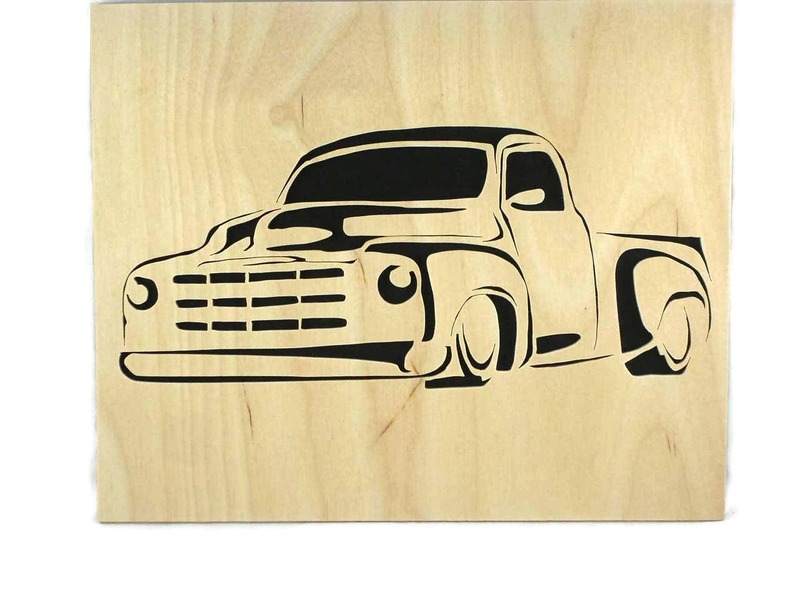 NOTE: This measures 8 x 10 x 1/4 inch. Please note that this should fit in most picture frames, however I have ran across some lower priced ones that are not deep enough for the thickness of this portrait unless the glass is removed. Most all frames I have bought from my local Micheal's store have worked just fine with the glass.